1. 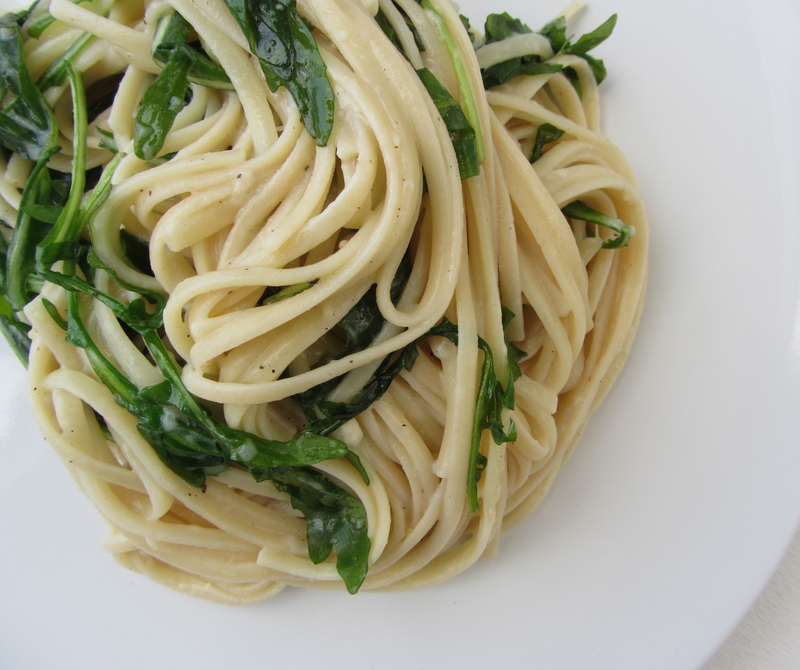 Cook the pasta in a large pot of boiling, salted water until “al dente,” about 7 – 8 minutes. It should be firm to the bite, but not hard. 2. Drain the linguine, reserving 1 cup of the cooking water, then return pasta to the pot, and toss together with the butter and juice from 1/2 of the lemon to coat the noodles. Lightly toss in the grated parmesan to mix, but do so in batches to help prevent the cheese from clumping. Add the reserved cooking water as needed to keep the pasta loose. 3. Add the arugula and toss until evenly distributed. 4. Season to taste with salt and pepper. Add extra lemon juice if desired. Finish with a light drizzle of olive oil. This looks fantastic! I can’t wait to try and make it. Thanks Carlos! Let me know how it turns out! Thanks so much! I love all your photos too! Thanks Charles! You should give it a try sometime; would love to know how it turns out!